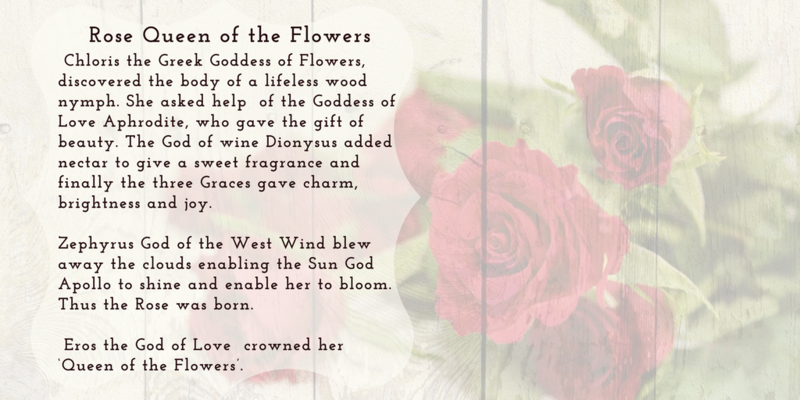 Happy Sunday, well I have not done a post for #ShakespeareSunday for a while but today I thought I might share this one with you featuring Queen of the Flowers – the Rose. Thank you for visiting. Happy Sunday. A celebration of poetry around the world first introduced by the United Nations Educational, Scientific, and Cultural Organization (UNESCO), in 1999. Held on March 21st each year. 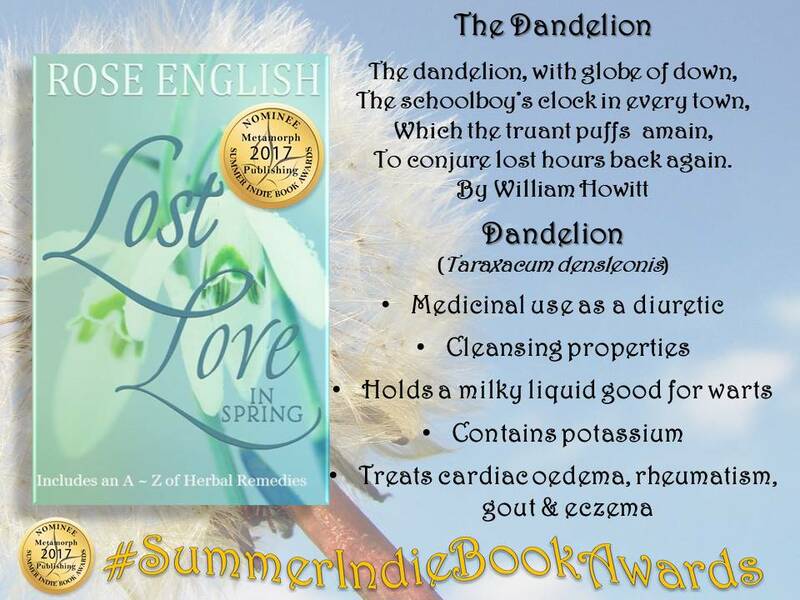 I was overwhelmed when my little short story ‘Lost Love in Spring’ was nominated for a Summer Indie Book Awards in 2017. I do not even know who put the book forward but I am over the moon. So whoever you are Thank You. 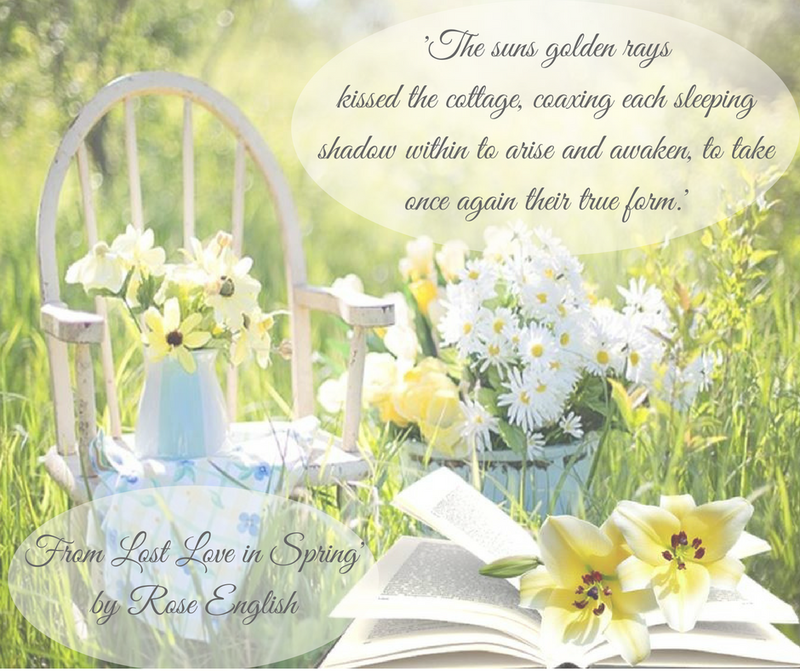 As today is World Poetry Day and Spring is now officially here, I want to share some of the teasers from my book ‘Lost Love in Spring’. Hope is all Emmeline has. 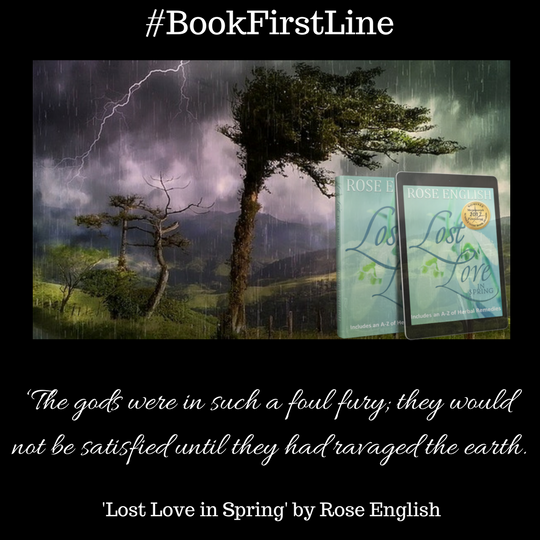 Under rolling storm clouds and raging thunder, the Gods unleash their wrath upon the earth, and in the chaos of the countryside awash with rivulets, Alfie Beeson is felled by some unseen force. With a desperate burst of strength, Emmeline drags her unconscious husband back to their cottage. Throughout the winter she ministers to his needs, following her Grandmother Aspasia’s recipes collected over the years in her delicately penned ‘Home Remedies’. Alfie appears to be on the mend when the gentle, shivering snowdrops begin to raise their dainty heads above the snow, bringing hope. However, as the little flowers creep from the forest up to the cottage, Alfie takes a turn for the worse. By the time the blooms are close enough to tap upon the door, she has lost her love. Grieving and bereft, Emmeline tries to cope without her soulmate. Her broken heart causes even her gentle artwork to suffer. Paintings are left unfinished in the parlour. With the arrival of The Anniversary comes a surprise visitor. Will this visitor rekindle the light in Emmeline’s delicate brown eyes? Can the hole in her heart ever be healed? 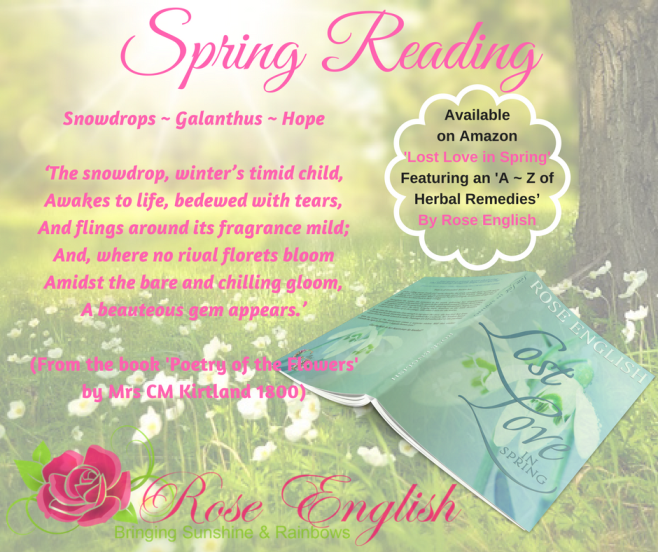 This heartfelt short story now includes a sample of Aspasia Cherry’s A~Z of Herbal Remedies along with poetry, a few myths and a little magic about the local flora that would have been found in and around Emmeline’s cottage. Reading and research are what I love to do most of all, and I was swept away on a cloud of delicate plants and flora that were used for healing. 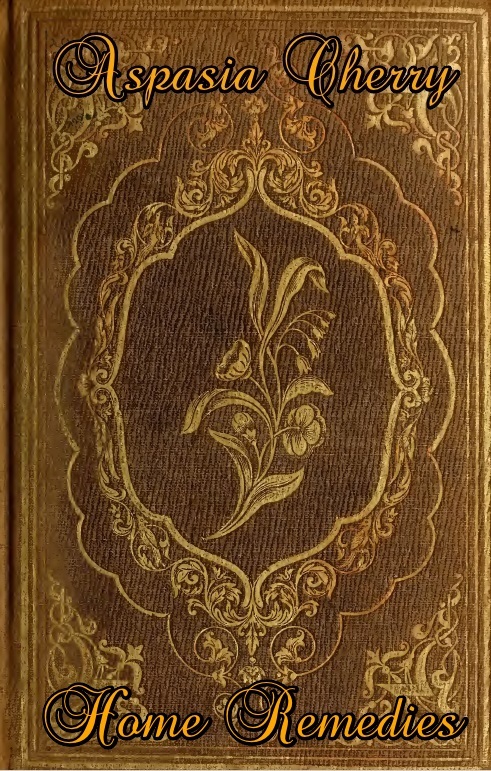 In the story Emmeline uses an old tome that her grandmother Aspasia Cherry penned over the years. I imagine the cover to have been like the one below. In the A~Z the layout begins with the common name and the scientific name along with its meaning. There follows a poem about the plant then its ancient and modern use. For some plants I have also added a short myth of how the plant may have derived its name. My example here is the Dandelion. In some of my earlier blog posts I have more examples of plants used in the book. You can search using poetry or floral poetry. Back in May I did a post on Hawthorn click HERE to check it out. If you are interested in finding out more, or want to take a look inside on amazon. Click the image below. The sonnets of William Shakespeare are said to have been published in 1609 by Thomas Thorpe. Supposedly without permission of William himself. Thorpe did however get himself a licence to publish these works of fiction. There are 154 sonnets by Shakespeare. Sonnets 01 to 126 are aimed at a young man, 127 to 152 are to a dark lady, and the final two are adaptations of Greek Poems. Originating in Italy, the sonnet derives from the word ‘sonetto little poem or son for song from the Latin sonus meaning sound, so little song’. Traditionally the Italian version was eight lines in length. The Italian’s introduced the sonnets to England in the time of the Tudors. Many scholars study the meaning of the sonnets and the general idea behind this one is that the poet is speaking to a young man. Telling him he is handsome but he should get his act together, stop playing around and take on a wife so that he might have children to carry on his memories and pass his beauty on to the next generation. I am really enjoying my Shakespeare Sunday’s, I hope you are too? i would love to hear your thoughts. 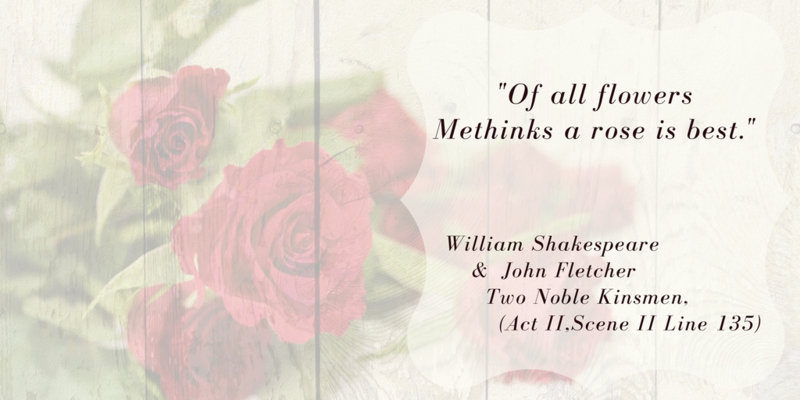 ‘The Two Noble Kinsmen’ by John Fletcher and William Shakespeare is said to be based on Chaucer’s ‘Knight’s Tale’. Classed as one of Shakespeare’s tragi-comedies. It is believed to have first appeared in print in 1634. It is the romantic tale of ‘two noblemen’ Palamon and Arcite who are the closest of friends until they see Emilia and each fall passionately in love with her, afterwards becoming bitter rivals. Methinks a rose is best. Emilia: It is the very emblem of a maid. And leaves him to base briars. Emilia is strolling with her woman in the garden when Palamon spots her and falls silent. I found a wonderful audio sample of the conversation between the two friends shortly after Emilia speaks about the rose. I also discovered a wonderful modern version of the play by the Royal Shakespeare Company (RSC) by Blanche McIntyre 2016. Take a peek at the trailer. Well I hope you enjoyed this preview of one of the lesser known of Shakespeare’s plays. Check out the video plot on the RSC page, I would love to know your views on the modern day play. It certainly is a twist in the tale. 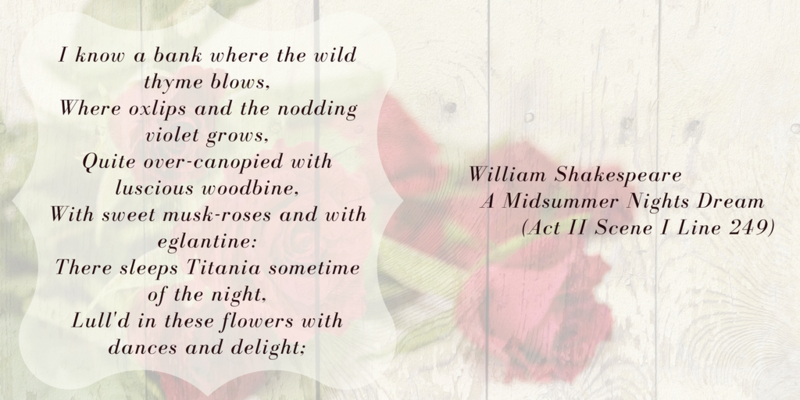 ‘A Midsummer Nights Dream’ is my favourite play by William Shakespeare. It is one I have seen countless times in many different forms and guises. Old and traditional, new modern live theatre, ballet, and several versions on TV. The most recent version was a few years ago starring David Walliams & Sheridan Smith, a fun kind of hippy-like version. Very enjoyable. I love most versions of the play. However, my favourite has to be when I saw a special performance at Ludlow Castle in Shropshire UK. It was so atmospheric. A true memory to treasure. Hope you enjoyed this little snippet. Oh dear as it was my birthday at the weekend I got quite carried away and forgot to post my Roses in Literature on Sunday. Fortunate for me today fits very nicely with the theme as it is Valentine’s Day (or rather it was a few hours ago). 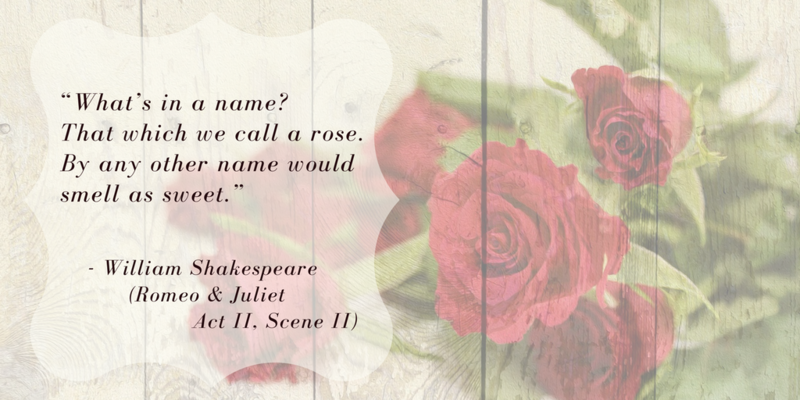 So I thought I might share with you some of my own roses in literature. 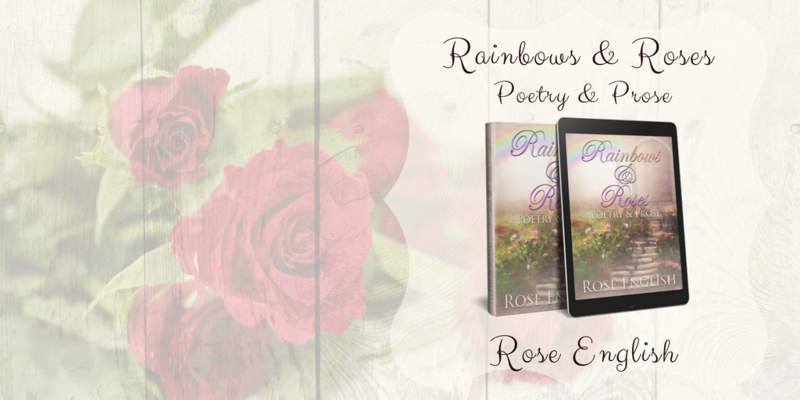 These all feature in my book ‘Rainbows & Roses ~ Poetry & Prose’ by Rose English. Click the HERE to visit amazon and take a peek inside. 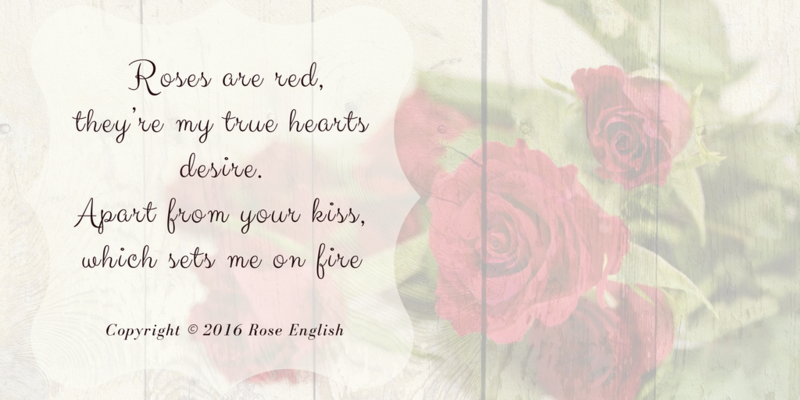 Now to share two small poems inspired by ‘Roses Are Red’ poetry. It is believed that ‘Roses are red’ poems have their origins in the 1590’s epic poem The Faerie Queene (Book Three, Canto 6, Stanza 6) written by the English poet Edmund Spenser (1552/3 – 1599) illustrated by Walter Crane. The images below come from an 1895 publication digitally preserved at ‘The Internet Archive’ click HERE to see the book in more detail. Getting caught up in research, and the beautifully preserved literature is what always seems to catch me out. Sorry not to have been able to share this on Valentine’s Day but I do hope you enjoy the blog all the same. 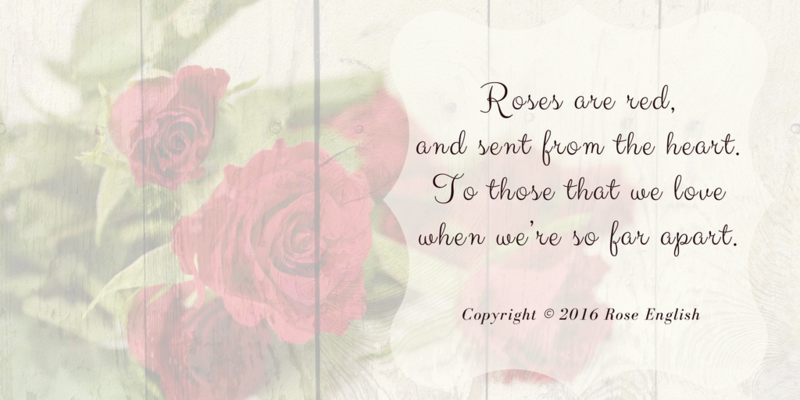 Authors and Poets have lamented of the rose for centuries. 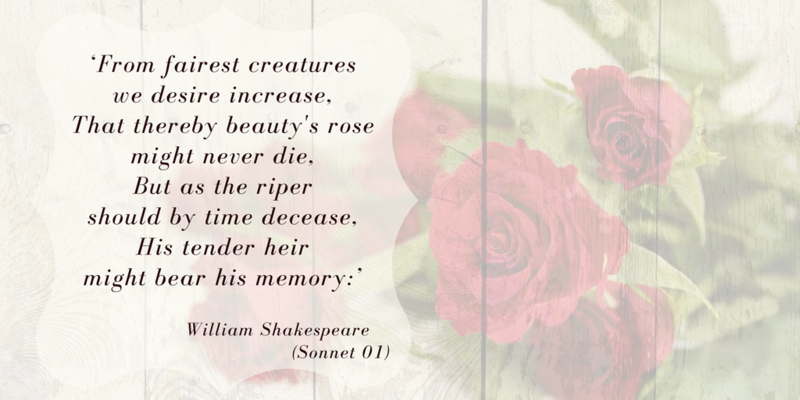 Shakespeare is belived to have mentioned roses over seventy times. So I thought it might be nice to share some of them with you lovely readers. If you have any favourites let me know in the comments below and I can add them to my list. Enjoy. Thank you for dropping by.